DANIEL "DANNY" AH FAH AKAMU Daniel "Danny" Ah Fah Akamu of Mililani joined our Lord & Savior on 15 June, 2018. He is survived by his wife of 46 years, Alafou Sene; son Danny Wesley Akamu-Ogata; daughter Ramona Ilima (Eric) Akamu-Ross; son Kawika Nu'u (Judie) Akamu; hanai daughters: Rachel Filifiliauro Sene, Darnet Toeaga Sene, Magali'i Hagedorn; grandson Roman-Kawika Fetalaiga'amaui'a Jones; granddaughter Emerald Rose Mayo; sisters: Kamila (Dennis Mahoney) Andersen, Pauline (Tom) Walton, and Sharon Akamu along with many loving nieces, nephews and extended family. Danny was a devoted husband, and loving father, grandfather and friend to all. 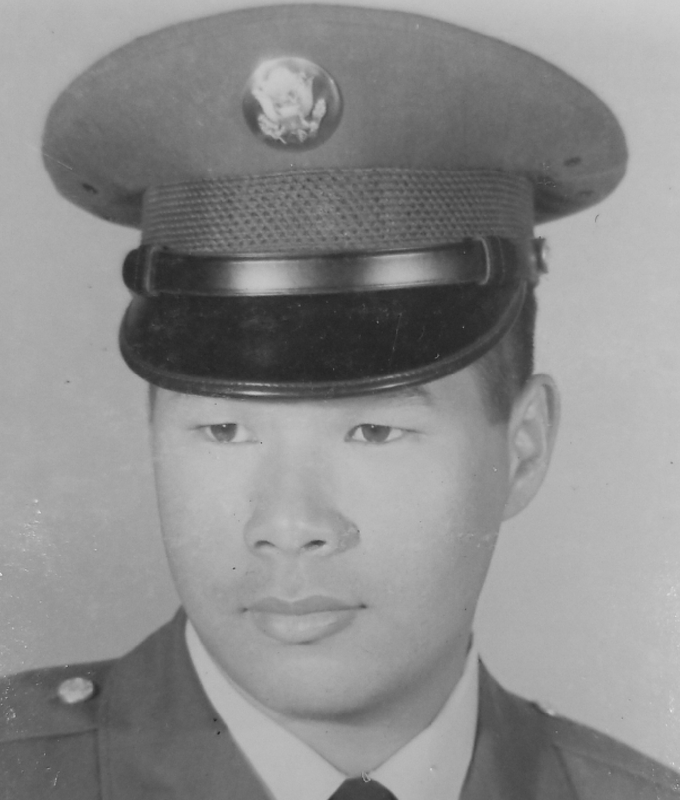 He was born on 7 August, 1946 to Beatrice Cazimero Akamu (deceased) and Ah Fah Akamu (deceased) and was older brother to Calvin Kui Fah Akamu (deceased), and grandfather to infant Kaleikaumaka Akamu-Mayo (deceased). Danny had a passion for music and loved to sing and play guitar. He also loved bowling, gardening, cooking, and Las Vegas. He dedicated 20 years to the United States Army, working in Pharmaceutical Units at Tripler Army Medical Center (AMC), Ft Shafter, Schofield Barracks, and Walter Reed AMC in Washington, DC. Danny did two tours in Korea and served in the Korean and Vietnam wars. Following his active duty career, Danny worked in Civil Service for 28 years. Tending to his garden on the weekends and cooking for his family was a great joy. He also spent many years in various bowling leagues. Danny was always there to help friends and family by giving them gardening tips and fruits and vegetables from his abundant garden. He loved to sit and talk story and his home was always open to friends and family. A special thank you to the Oncology and Radiology Units, and PCU and 6B2 staffs at Tripler AMC and St. Francis Hospice for the generous care and considerate support that they provided to Danny these past months. Public visitation will be from 9:00 A.M. until 10:30 A.M. at Mililiani Memorial Park & Mortuary, Makai Chapel, on 3 August. A Family Memorial for Danny will immediately follow at 10:30 A.M. until 11:20 A.M. Prayer Services will be at Mililani Makai Chapel at 11:30 A.M. Our beloved Daniel will be laid to rest at 12:30 P.M. in Mililani Memorial Park. Please convene back at the Makai Chapel for the funeral reception. Dress: Aloha attire. Contact Info: 808-625-5462.